Categories: church teaching, evangelization, Explanations of the Faith, Fe, From the Pastor, Homilies | Permalink. In Part One, I gave an overview of the penitential practices of bodily mortification (particularly, use of the hair shirt or biblical sackcloth). Here I provide the relevant Scriptures (RSV), so that Catholics may substantiate the biblical nature of their practices. Categories: Catholic Church, Catholic Life, church teaching, community, Dios, Fe, Reflections | Tags: fasting, hair shirts, peace, penence | Permalink. Categories: Bulletin Articles, church teaching, Dios, Espanol, Fe, From Fr Diego | Permalink. Categories: bible, Catholic Church, Catholic Life, church teaching, Explanations of the Faith, Fe, From the Pastor, Homilies, Reflections, Video's | Tags: charity, faith hope, Love, truth | Permalink. 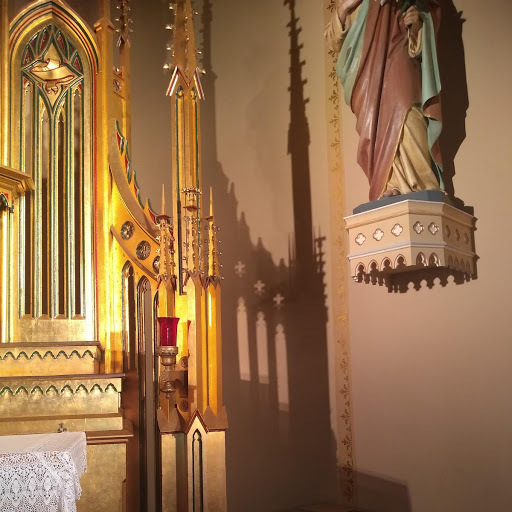 Categories: Bishop Malloy, Catholic Church, Catholic Life, church teaching, community, Dios, events, Explanations of the Faith, Homilies, religious education, sacraments | Tags: Confirmation 2019, Holy Spirit, saints | Permalink.